Aaron Sorkin (right) talks with Josh Charles on the set of ABC&apos;s “Sports Night” in 1999. Recently, Aaron Sorkin has been in the news for his smash stage adaptation of “To Kill a Mockingbird,” which has become the highest single-week grossing American play on Broadway, ever. That got me thinking about his first round of series TV, “Sports Night.” I wish it had lasted more than two seasons, despite its ratings struggles. It was a TV auteur’s sitcom, a bittersweet gem, and a part of sitcom evolution that now allows TV comedies to take on dramatic themes. I remember watching the first episode in 1998 and quickly realizing that it was different for TV. It wasn’t just that the script found humor in the characters and in the TV news world, and not in one-liners. The script had a sound, a rhythm, of its own, as well as a strong sense of human nature and a penchant for ideological tugs of war. It was “Broadcast News”-like, as it toyed with the ethics of the news industry and the emotional tolls of deadline work. The fast banter and issue-driven plots would later take on an epic scale in Sorkin’s “The West Wing,” but they worked perfectly in the stagey context of an ABC sitcom, too. The cast, including Felicity Huffman, Josh Charles, Josh Malina, and Peter Krause, clicked as an ensemble from the get-go. Sorkin tried to go behind the scenes of TV twice after “Sports Night,” with HBO’s “The Newsroom” and NBC’s “Studio 60 on the Sunset Strip.” But, alas, the excesses and quirks he has developed over the years — sentimental flat-footedness, self-absorbed characters — got in the way. 1. The first season of HBO’s “True Detective” is legendary (if overrated) for its “flat circle” philosophies and for Matthew McConaughey. The second season of “True Detective” is legendary for being a tedious letdown. What will season three be legendary for? Mahershala Ali stars as a detective who led the search for two missing children in the Ozarks in 1980. It premieres Sunday at 9 p.m.; my review will appear on Friday. 2. Oh my, what have we here? PBS gets indirectly direct with “The Dictator’s Playbook,” a reality check on what it means to be a tyrant. The new weekly six-part documentary series will look at the methods of six 20th-century dictators in this order: Kim II Sung, Saddam Hussein, Benito Mussolini, Manuel Noriega, Francisco Franco, and Idi Amin. It begins Wednesday at 10 p.m. on WGBH-2. 5. Jimmy and Gretchen are officially engaged, which is great, but totally not cool. It’s the final round between cynicism and love on FXX’s pleasing “You’re the Worst,” as the anti-romantic romantic comedy begins its fifth and last season on Wednesday at 10 p.m.
6. I love “Victoria” on “Masterpiece” in the same way I loved “Downton Abbey,” as a pretty, transporting, but not historically accurate upstairs-downstairs drama. The first season was fine, the second was better, and the third begins on Sunday at 9 p.m.
7. He has created a group of characters with very complex and deep roots on “Game of Thrones.” In the fifth-season premiere of PBS’s “Finding Your Roots,” Henry Louis Gates helps George R.R. Martin discover his own family history. It’s Tuesday at 8 p.m. on WGBH-2. 8. I need to tell you that I will not be watching MTV’s “Lindsay Lohan’s Beach Club” Tuesday at 8 p.m.. I’d rather watch TLC’s “Dr. Pimple Popper,” to be honest. But if it’s on your list, I still respect you. According to MTV, the “actress, influencer, and entrepreneur” (emphasis mine) expands her business empire in Mykonos, Greece. 9.“The Good Place” is back, Thursday at 9:30 p.m. on NBC, but only for the two last episodes of season three. No grief, though; TV’s best comedy is already renewed for season four. A 16-year-old moves in with her older half-sister and her fiancé and causes chaos in this new sitcom starring Nina Dobrev. 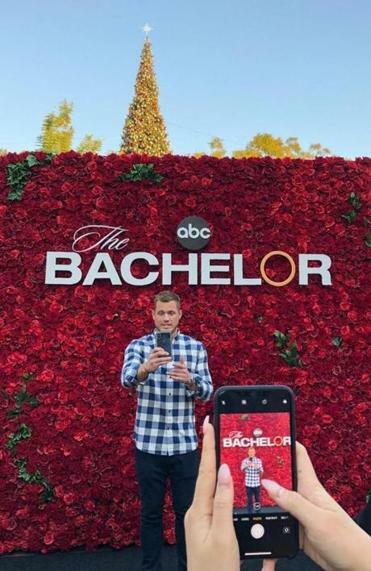 CBS, Thursday, 9:30 p.m.
Former “Bachelorette” contestant Colton Underwood is the titular star of season 23’s "The Bachelor." TWIST: He’s a virgin. The 23rd season, with season 14 “Bachelorette” contestant Colton Underwood as the titular figure, begins with a three-hour spectacular. ABC, Monday, 8 p.m. There will be Susan Boyle. The successful franchise enters the meta phase as successful contestants from previous seasons compete. NBC, Monday, 8 p.m. The spinoff of “The Goldbergs,” starring Tim Meadows, Bryan Callen, and AJ Michalka, premieres. ABC, Wednesday, 8:30 p.m.
A 10-episode drama about real investigations into UFOs conducted by the Air Force from 1952-69, with Aiden Gillen starring as the head of the operation. History, Tuesday, 10 p.m.
A single-camera show that was to office sitcoms what “Scrubs” was to hospital sitcoms. Richter played a fiction writer stuck in a generic job, fantasizing about his own heroics amid “Dilbert”-like bureaucracy. This dark satire of Hollywood cynicism and deal-making took no prisoners. The cast of crude and comic characters — played by Jay Mohr, Illeana Douglas, Buddy Hackett — was sharp, and the writing was even sharper. Caroline Dhavernas was a twentysomething college graduate who majored in philosophy and spent too much time pondering her life in this offbeat portrait from Bryan Fuller. In surreal flashes, she got advice from the figurines at the Niagara Falls gift shop where she worked. Thomas Cavanagh was a pop music scout looking for real talent and not just mainstream hits. Oh, yeah, and looking for love. The dramedy had the potential to be a TV take on Nick Hornby’s “High Fidelity,” but it lasted only eight episodes. This satire took place among the bratty stars on the set of a teen soap opera that looked something like “Beverly Hills 90210,” and it was created by Darren Star, formerly an executive producer of “90210.” Can you say roman a clef? A great send-up of American celebrity and bad TV, it deserved to survive. A lively, intelligent adaptation of the Thackeray novel starring Olivia Cooke as Becky Sharp.